Commissioner Sanders (Leslie Banks) tries to prevent warfare between rival chieftains (Paul Robeson and Tony Wane) in British-ruled Africa. 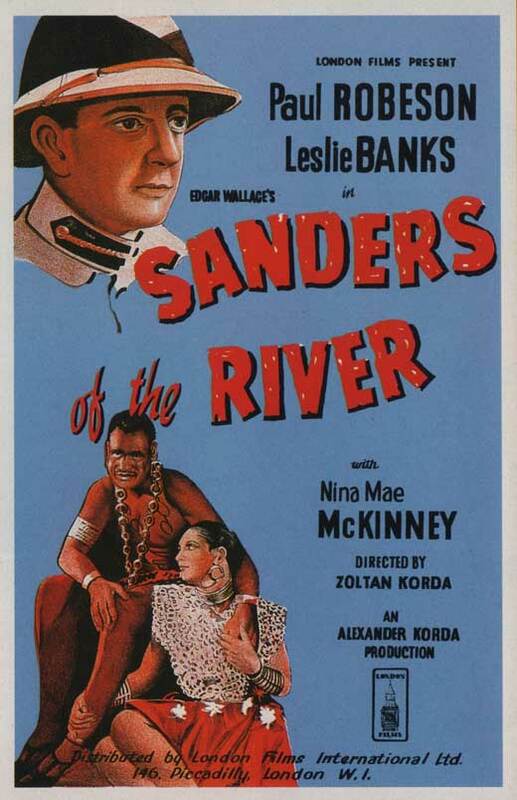 As Peary notes, this dated, offensive film “gives the impression that black Africans [were] prosperous, happy, and peaceful under British rule.” Commissioner Sanders (“Sandi”) is shamelessly portrayed as a heroic, benevolent father-figure who must intervene in order to save the warring African “children” from themselves. I was grateful whenever footage of native African tribes appeared on-screen; their (hopefully authentic) dancing and music making were a welcome relief from the colonialist blather of the storyline. Paul Robeson’s singing is (as always) a highlight, but nonetheless woefully out of place. Worth watching for historical purposes only. No, although it’s a revealing look at the historical distortion that was prevalent in so many early films.